In November 2016, Kampani completed the transaction with a Kenyan SME, “Vert”. Founded in 2000, Vert is specialized in the sourcing, grading, packing and export of fresh vegetables: French beans, snow peas, baby corn, baby carrots, etc. Every day, several tons leave Kenya on the KLM ﬂight for Amsterdam. Some of the produce is for sale in Belgium, specifically in Delhaize. motivated Kampani to invest. The founders’ commitment in this regard has been codified in a Social Business Charter. One of the farmers supported by and producing on behalf of Vert. Vert decided to diversify its production by launching a mango and passion fruit pulp business. The pulp processing market has seen tremendous growth over the last eight years in East Africa. But Kenya currently imports a large amount of soft drinks, and Vert intends to help substitute imported products by producing mango and passion fruit pulp that will be locally sourced and processed. This new activity should enable Vert to work with more farmers (around 8,000 by 2020), including in rural areas where poverty alleviation remains a real challenge. will be used to finance the related capital expenditure and working capital. This investment is a co-investment between Grameen Credit Agricole and Kampani, each contributing 500,000 EUR. Both equity investors are equal partners and are fully aligned. Most of the remaining financing has been secured via a Fefsol/Alterfn investment loan. Translated to a European setting, Vert would be called a social business. The Kenyan entrepreneurs, who founded Vert, have demonstrated a strong commitment to raising the living standard of smallholder farmers, formalized via a Social Business Charter. Furthermore, Kampani holds a veto power over decisions aﬀecting the smallholder farmers. 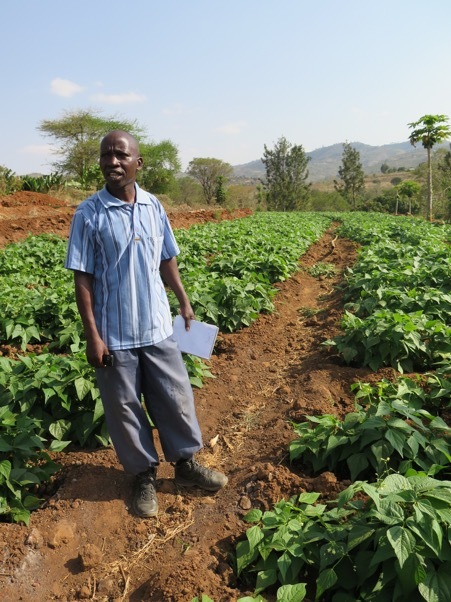 Vert strongly believes that sourcing raw materials directly at the farm level can reduce the disruptive eﬀects of brokers and secure a consistent supply of quality raw materials while giving smallholder farmers access to stable and predictable prices year round and enabling them to professionalize their agriculture practices. The company will contribute to poverty alleviation and livelihood improvement in Kenya through developing an inclusive value chain in the fresh vegetables and fruit pulp sub-sectors. Vert supports smallholders farmers to become more professional growers and thus to reduce their vulnerability.